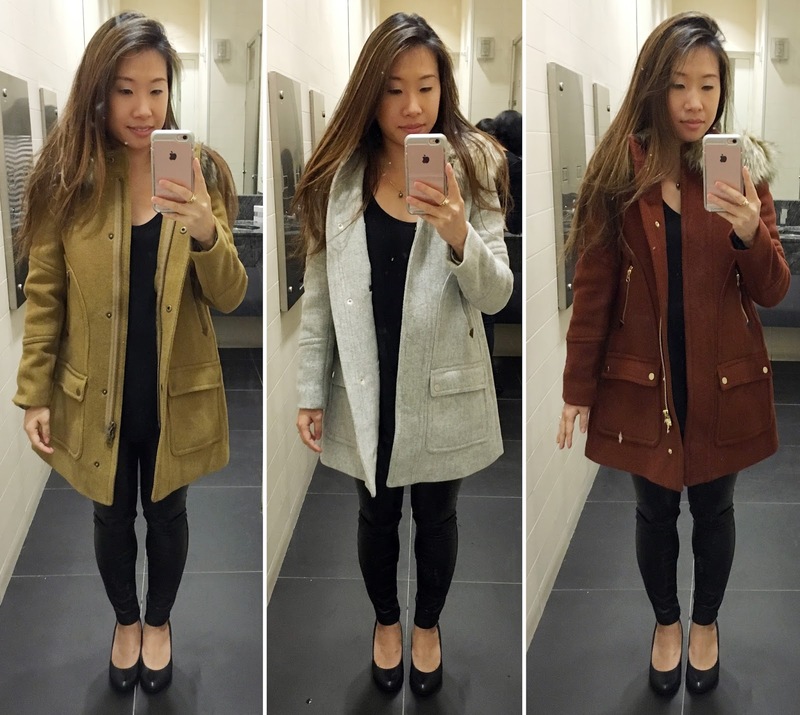 Petite J.Crew Chateau Parka in Stadium-Cloth in 000P heather mustard, dark forest, heather chestnut, heather dusk. Petite J.Crew Chateau Parka in Stadium-Cloth in 000P heather mustard, heather dusk, heather chestnut. Here's also a healthy recipe for baked fish sticks that was absolutely delicious and didn't even need tar tar sauce! 1. Preheat oven to 425 degrees. Coat a 9x13 inch baking sheet with olive oil. 2. Pour the cornflakes into a large resealable plastic bag. Press down on the bag to push out most of the air, seal it, and curhs with a rolling pin, stopping while flakes still have some texture. Pour crushed flakes on a plate. 3. In a shallow bowl, whisk together the buttermilk, 1 tablespoon mustard, and the garlic powder. In a separate shallow dish, combine the flour, salt, and pepper. Dredge fish in the seasoned flour, shake off excess, dip into the buttermilk mix, and dredge in the crushed cornflakes. 4. Place fish on the baking sheet about 1/2 inch apart. Bake until cooked through and crispy, about 20 minutes.